"Black Panther" is without a doubt the most highly anticipated movie release of the month. Ironically, when film producer Wesley Snipes tried to get the Marvel Comic character developed into a film 25 years ago, he ran into multiple issues, and Hollywood executives essentially told him that there was no audience for a movie of this magnitude about an African superhero. Years later, a $427 million dollar opening weekend shows just how wrong they all were. The vibrant culture brought to life in the movie even brings out the best in the audiences who go out to see it. In its opening weekend, countless movie theaters were filled to the brim with people proudly wearing dashikis and traditional African clothing, making the point that this is more than just another superhero movie. #BlackPanthershowingout is a movement of people who are proud to see Africans representing super-beings and ordinary people who can accomplish the extraordinary. Even if you have never seen a Marvel film, "Black Panther" transcends the style and language of comics and touches the individual through its fluent, raw storytelling. This is the story of a son losing his beloved father who must assume the responsibilities of ruling one of the most advanced nations in the world, Wakanda. Wakanda is a beautiful country with cutting edge technology due to its abundance in the most valuable metal on Earth, vibranium. As the new king, T’Challa learns of his father’s past mistakes and tries to right the wrongs as both King and the Black Panther. One of the many crossroads he faces is the battle for his love, Nakia, a crusader who believes that Wakanda should do more to help the outside world instead of staying hidden. His rival, Erik Killmonger, also pleads for Wakanda to come out of hiding and reveal to the world its great power in order to conquer it. In order to take the country in a new direction, T’Challa is forced to cross boundaries and find solutions to the problems that not only affect Wakanda, but the entire world. With the help of his trusted war general Okoye, his genius kid sister Shuri, Nakia and the allies they rally along the way, T’Challa battles for his life, country, family, and redefines what it means to be a hero. As the first major motion picture where the African language Xhosa is spoken, this film is a sublime tribute to the many variants of black culture in many ways that are not so often shown on the big screen. 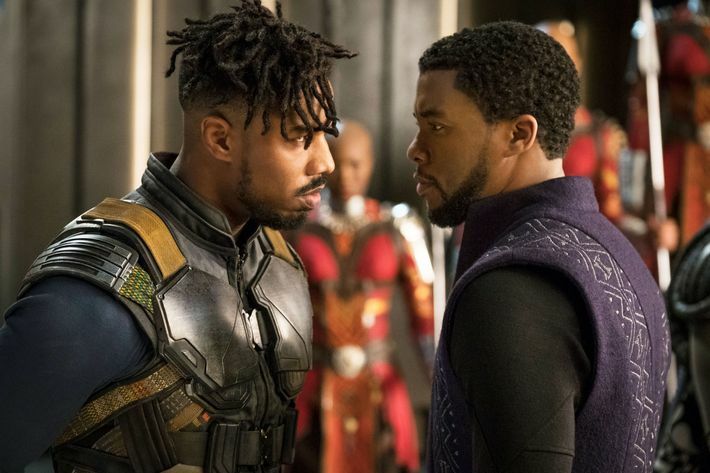 The astounding cinematography and direction by Ryan Coogler is the icing on the cake because his vision shows the continent of Africa, which is often misconstrued as poor and declining, as a place rich in timeless traditions and infallible beauty in its people and landscapes. To me, and many others who love the film, Wakanda is not a fictional place; it's a reflection of the great civilizations that originated in Africa and can serve as a model for what great societies can look like today. Currently, the biggest Marvel movie ever made, "Black Panther" satisfies the longing for a fresh, new outlook on a story that is sure to impact audiences worldwide. Believe the hype! "Black Panther" is all the rage; go and see it in a theater near you! I am Michelle Huxford from Casper, Wyoming. I was in a very chronic financial issue and terminal health situation some few weeks back. After all my search for assistance from friends and neighbors proved abortive, I feel there was no one who truly cares. I became so emaciated due to lack of good food and my 2 kids age 5 and 8 were not also good looking due to lack of proper care as a result of finance. One faithful morning I saw an old time friend of my late husband and I told him all I have been going through and he said the only way he could help was to direct me to a good loan agency that also helped him, He explained to me on how he was financially down and how he got boosted by this loan agency UPSTART LOAN INC ( upstartloan@yahoo.com ) who grant him 245,000 USD loan at an affordable rate. He further assured me that they were the only legit loan firm he found in the quest of seeking for loan after been scammed by various fake loan lenders online. He gave me their email: upstartloan@yahoo.com or text/call (574) 301-1639, That was how i applied and was also granted a loan and my life changed for the good. CONTACT THE ONLY GENUINE LENDERS( UPSTART LOAN INC) VIA email: upstartloan@yahoo.com or call 1 (574) 301-1639 to resolve your financial mess.